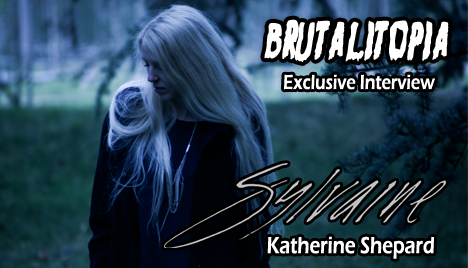 If you've been looking for an alternative to Alcest on your shoe-gazey/dream-poppy/black-gazey/what-ever-the-hell-the-hip-term-is-now-ey black metal playlist, Sylvaine is the perfect cure for that itch. Masterminded by Katherine Shepard, the solo project boasts opulent soundscapes that are just as beautiful and endearing as they are introspectively morose. Through the modern marvel of our time that is "The Internet", I was able to have a chat with Katherine about everything related to the project's beginnings through her latest album, Wistful. It was a fun conversation that brings to light her musical upbringing and the evolution of her tastes. Along with a track from her new album, listen in on the conversation we had after the break!